It's nearly that time of the year again! CHRISTMASSS! 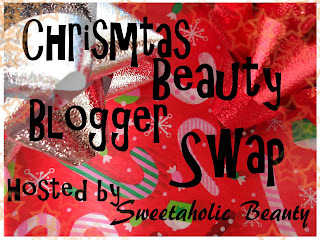 Jasmine from Sweetaholic Beauty is awesome enough to host a christmas beauty blogger swap. 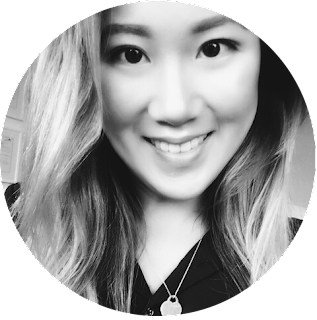 You must follow Jasmine on GFC, Bloglovin' and/or Hello Cotton (links are on her blog). Make sure your country will accept shipping beauty products. After sending your partner's presents, make sure you keep proof of postage. Send a copy of proof of postage to Jasmine. Items sent must be new and unused. If you are interested (and eligible), please head over to Sweetaholic Beauty, re-read her blog post (in case I miss out on anything important) and comment with your name, email address, where you're from and if you have a preference on the country where your partner is from. Also, please spread the word because if there isn't enough interest, it will not go ahead! I never heard of a Beauty swap before! That sounds like a fun and cool idea. I might have to go check that out. :) Thanks for sharing! Love beauty swaps!! Will join this one!